My parents loved their plants. 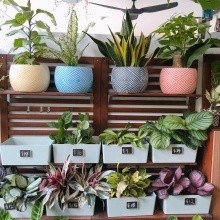 I used to stay in a corridor flat where my parents lined up their plants outside the house! 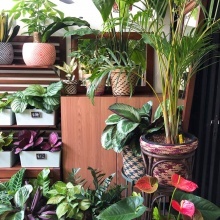 I remember my dad/mom will spend some time with their plants, watering and trimming them. We also have this tall cactus (taller than me!) and the flowers bloomed once in a while. It will only blossomed at midnight and it dies straight after. So my mom will wake up from her sleep at 12mn just to savour that few moments of the flower’s beauty before gg back to her sleep. Join our community! Download the app, and get updates from shyinnie. Remove this bar by logging in.